When it comes to their hair, young Australians are a vain lot. If faced with going thin or plumping up, more than three-quarters (78%) would prefer to put on 2kg than lose their precious locks, according to the NIOXIN National Hair Report. Especially true for women (with as many as 85% preferring to plump up), this attachment comes from a nation that takes its crowning glory seriously. Not surprising, given the major impact it has on the way people feel – almost nine out of 10 respondents (88%) said they feel more confident when they know their hair looks good. And young Australians don't just save criticism for the mirror, they judge others by the state of their hair too. When asked, the majority agreed (87%) that hair issues like receding and thinning hair are major turn off on a first date. Women are more likely than men to be turned off by a date with greasy hair (75% compared to men at 52%), while men are more likely to be put off by women with thinning hair (29% compared to women at 22%) or receding hair (27% compared to 21%). And while the idea of thinning hair might be off-putting, the condition actually affects one in two people world-wide*1 with as many as 84% of young Australians saying thinning hair would be a concern for them – women (90%) more so than men (77%). The main concerns around hair thinning are that people would be perceived as looking older (58%) or ill (42%) if they suffered from the problem. Despite the widespread issue, Australians are actually ignorant about the causes of hair thinning with almost half of respondents (46%) under the impression genetics or old age (22%) are to blame and less than one in ten (9%) recognising the link between stress or hormonal imbalances (5%) and hair thinness. Equally a majority of respondents incorrectly think thinning problems are isolated to older men (84%), with considerably less so associating the condition with women. Tony Pearce, Specialist Trichologist, says, 'While the topic of male hair thinning is openly talked about, the problem in women remains a sensitive topic of conversation. This is despite the increasing number of females – of ALL ages – experiencing it. 'I see women exhibiting hair loss for many different reasons – nutritional, metabolic or from the many forms of stress in life. Hormonal issues, such as menopause or after childbirth, are another common cause of different forms of hair shed or hair thinning. 'It's often emotionally devastating for these women, made more so by the -s ocially unacceptable' stigma of a balding scalp. 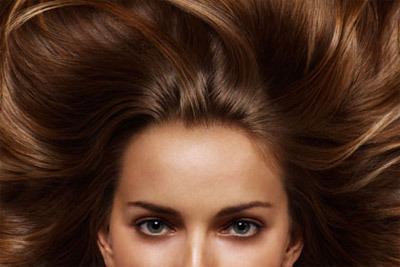 Most women regard the state of their hair as a reflection of their femininity. I decided to specialise in women's hair and scalp problems because there was so little knowledge or dialogue about this increasing but silent epidemic." With regards to seeking help, relatively few respondents would do so at the first sign of the problem. Over a quarter would wait until large amounts of hair came away in their brush (27%) or fell out in clumps (25%) before seeking professional advice from their hairdresser, pharmacist or doctor (55%). Mario Guardiani, a hairstylist at Linea Salons says, 'Increasingly I'm seeing clients coming in concerned about their hair loss. They feel embarrassed and particularly worried about what friends might be saying about it behind their back. 'As with most things, the sooner help for a problem like hair thinning is sought by a professional, the quicker clients can get their confidence back and begin living a normal life again," Mario concludes. 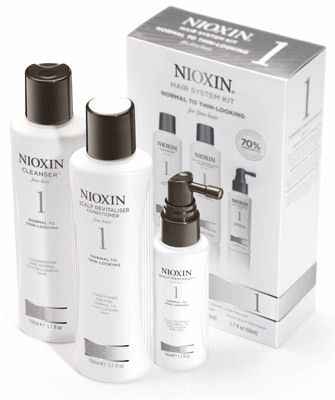 The NIOXIN National Hair Report was commissioned by NIOXIN – a range of hair products designed to help deliver thicker, denser looking hair by treating the scalp environment as well as the hair.